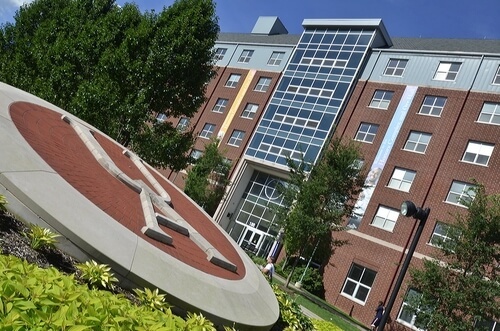 AKRON, OHIO—This morning, thirteen former and current students of the University of Akron’s Marriage and Family Counseling and Therapy (“MFC/T”) program, a part of its School of Counseling, sued the University in connection with its abandonment of the MFC/T program’s unique dually accredited status that the University sold to the students to induce them into enrolling. The University had aggressively marketed the dual accreditation to the Plaintiffs and others as a highly beneficial degree that was one of a limited number of such programs nationwide. In response to the University’s marketing efforts, the thirteen students—who made life-altering plans to commit to the University by changing careers, moving out of state, and incurring substantial debt—enrolled in the MFC/T program precisely because they were promised a degree accredited by the Counsel for Accreditation of Counseling and Relate Educational Programs (“CACREP”) as well as by the Commission on Accreditation for Marriage and Family Therapy Education (“COAMFTE”). To induce the students into enrolling, the University touted the unique nature of the MFC/T program, claiming that it would and its likelihood of increasing the students’ career opportunities and would make them more marketable in the professional-counseling field. The students allege that individuals at the University made a calculated decision to abandon accreditation from CACREP, with this decision driven by the underhanded personal motivations of Dr. Robert Schwartz, who resented that the University’s unique dually accredited program competed with the more traditional counseling program that Schwartz led. The complaint cites and attaches University correspondence showing that Schwartz abused his position as the University’s CACREP liaison to destroy the rival program and vindicate a personal grudge that he held against Dr. Karin Jordan, the leader of the MFC/T program, who had previously reported Schwartz for misconduct that resulted in formal discipline and a demotion for Schwartz. As Schwartz carried out his plan, he assured the faculty that the program would retain its CACREP accreditation, while, behind the scenes, he worked to persuade University leaders to withdraw their support for the dual accreditation. Following Schwartz’s lead, the University deliberately misled students as the status of accreditation efforts, and withheld from the students CACREP’s offer to allow them to be “grandparented” into the dual accreditation while falsely representing that the “grandparenting” opportunity was unavailable. In addition to claims for breach of the University’s contract to provide the students with the dually accredited degree, the parallel lawsuits filed by the students in the Summit County Court of Common Pleas and the Ohio Court of Claims allege claims for tortious interference, negligence, fraudulent concealment, and violations of the Consumer Sales Practices Act. The Plaintiffs are represented by Peter Pattakos of the Pattakos Law Firm in Fairlawn, Ohio. A copy of the filed complaints are available here and here.